Is it sold (legitimately) anywhere besides battlenet?If so, on the summary page in your bnet account, theres a place for putting in codes. 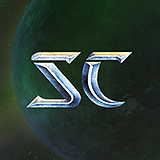 It's been a while, but isn't that the SC2 cheat?Did you mean the code for SC1? Or did you mean to post on the SC2 forums? No katie, it's just your system. But since your back with the same old rhetoric, what bloat are you referring to? Your heading toward ending up like hyfrehyfre... banned from all the spam. Isn't that what Blizzcon is for? You typed out a rhetorical question in a discussion forum? Blizzard should release the patch quickly.